International Food Challenge is evolved out of similar interests, passion in exploring all the cuisine from all over the world. As a result, we, Saras of www.sarasyummybites.com and Shobana of www.kitchensecretsandsnippets.com have teamed up to welcome foodies , our talented food bloggers to join in this mission to learn , explore the world cuisine along with the heritage every country possess and get to know some ideas what every country has to offer with respect to food . 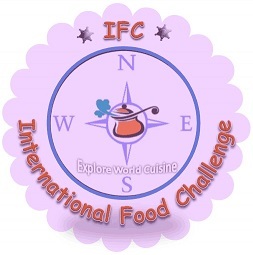 Come foodies, let’s all join our hands in this journey of crossing many virtual boundaries in the quest of finding new food ,fresh tastes from around the globe through this event IFC . Join our FB group HERE to get in touch with the event as well as for the latest updates. Nice event. Would love to join. Please add me. G'day and thank you! I look forward to participating and hopefully I can add something to your challenge too! Fan page is a page just as buy Facebook fans you can on your site that you are trying to get as many people ""want. what if i am not able to participate in some month due to some reasons?